A pastor's family cares for those fleeing economic crisis—offering food, shelter, backpacks, and the hope of the Gospel. Each day, tens of thousands of Venezuelan migrants cross the Simon Bolivar Bridge into Cucuta, Colombia. 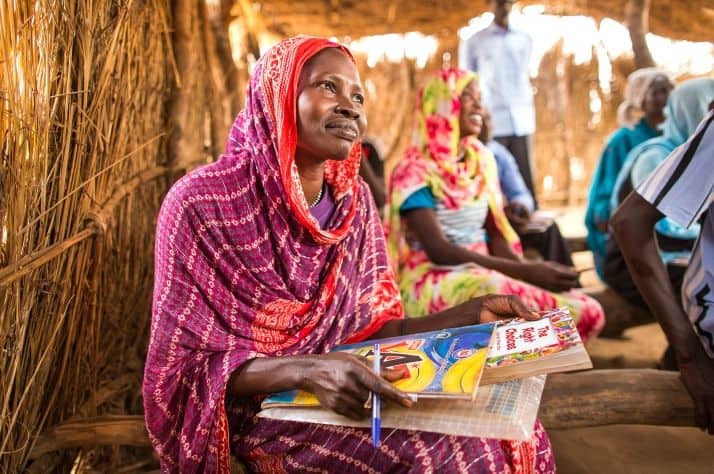 Many of them have no plans to return home; instead they’ve chosen to flee their nation’s economic collapse and take their chances on starting a new life in a new country. Thousands of backpacks filled with clothing and hygiene items have been distributed to walkers passing through our shelter. Some of these men and women become los caminantes, or “the walkers,” who can be seen daily trudging up the roads that trail away from Cucuta. They’re headed into the Colombian mountains bound for other cities like Bucaramanga or Bogota, or even neighboring countries such as Ecuador or Peru. They’re often hoping to meet up with relatives and may walk or hitch rides for hundreds of miles. The journey could take several weeks, and all the while they’re at the mercy of strangers. One place they’re sure to find a smiling welcome, though, is in the small town of La Don Juana, about 18 miles outside of Cucuta, where Samaritan’s Purse operates a way station, or shelter. Close to 20,000 migrants passed through our facility in October and November. One was 27-year-old Jorge from Valencia City in Venezuela. “I left because we had nothing to eat,” he said. He bid farewell to his wife and two children, hoping to reunite with his brother and sister in Lima, Peru—a journey of over 2,000 miles from Cucuta. He’s desperate to find work and send money back to support the family he left behind. “The saddest thing is to hear from your kids—’Papa, I’m hungry’—and you have nothing to give them,” he said. Pastor Jesus Paez and his daughter Viviana are at the shelter serving migrants from Venezuela on a daily basis. Our shelter is open daily from about 4 a.m. to 10 p.m., sometimes midnight. Shelter Coordinator Viviana Paez serves hundreds of meals a day and often hosts more than 150 guests overnight. Travelers who arrive earlier in the day help prepare the meals for later. In the evening, Viviana’s father, Pastor Jesus Paez, shares a Biblical message to encourage the travelers on their journey and also calls them to respond to the Gospel. Some have responded in repentance and faith and been baptized in the river behind the shelter. A few migrants simply stop at the way station for a brief rest out of the sun, quickly moving on to their next destination. Others may take a shower, eat a hot meal (or two), and spend the night in the building, which once served as a train stop. 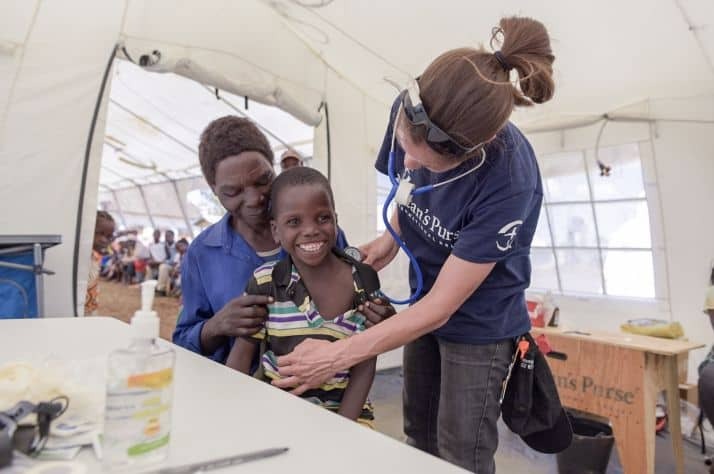 Nearly 5,000 migrants have also received backpacks filled by Samaritan’s Purse with important items including toilet paper, a toothbrush, toothpaste, soap, hand wipes, a hat, gloves, socks, water bottle, and poncho. Women receive additional hygiene items as well. The hats and gloves may seem a bit much for an equatorial country, but if travelers continue on after La Don Juana, they’ve got a steep climb. The next major town is several thousand feet higher, and the road eventually tops off at about 11,000 feet above sea level. It gets cold at night, and the walkers are provided helpful counsel to go along with the warm clothing. 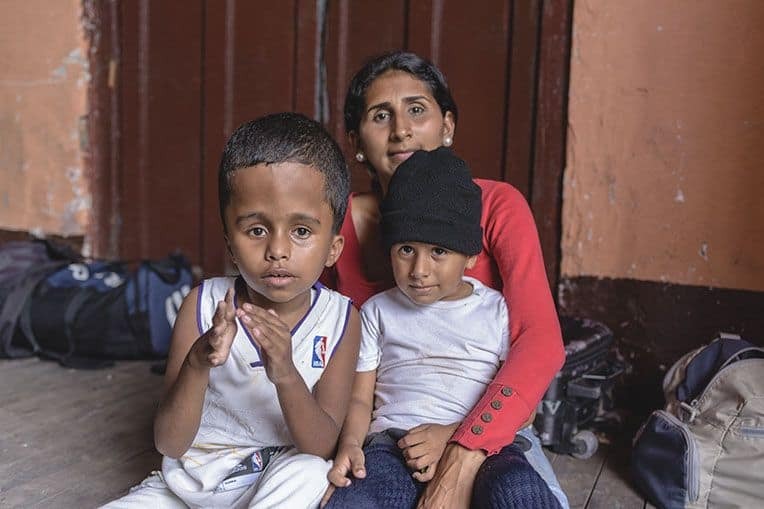 Nazareth left Venezuela to seek a better life for her two boys. The economy and health system there are in disarray. “I’m very thankful because they gave me food, and I could rest under a roof,” said Nelson, 22. He stopped by our shelter in October and was among the first to receive a backpack. He described the situation in his hometown of Falcon, Venezuela, as terrible—with no food and no work—so he’s headed to find relatives in Peru or work along the way. The flood of those leaving Venezuela in the past couple years has become the largest migration crisis in recent Latin American history. Young men and women, sometimes with small children, leave because of the dire lack of food and medicine. Due to hyperinflation, a full month’s salary can now only buy a few food items, hardly enough to sustain a family. Hospitals don’t even have adequate supplies. 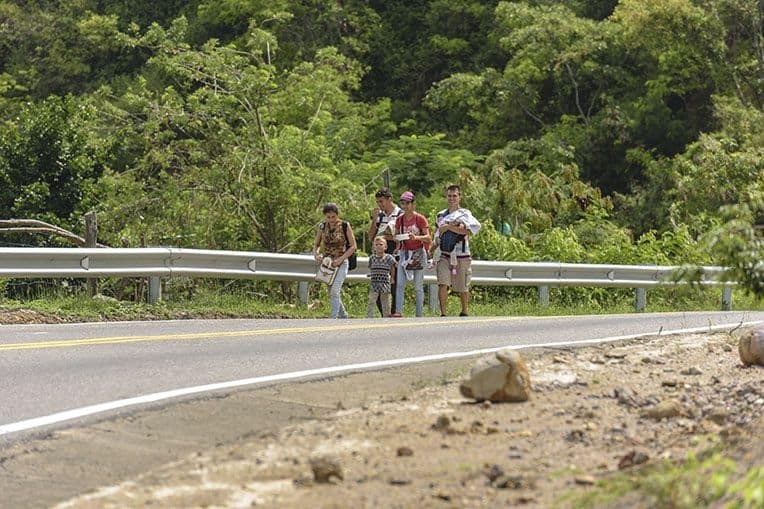 Venezuelan “walkers” are a common sight along the roads near Cucuta. A woman named Nazareth left Venezuela this fall and stopped by our shelter to spend the night with her two children, Osmond, 10, and Oswald, 4. Osmond uses a wheelchair, which complicates travel, but she’s determined to persevere and is headed to join her husband in Peru. He’s been sending back money for the family, but it’s not nearly enough. Earlier this year, Pastor Jesus began noticing more and more Venezuelans stopping in his area as they made their way across Colombia. 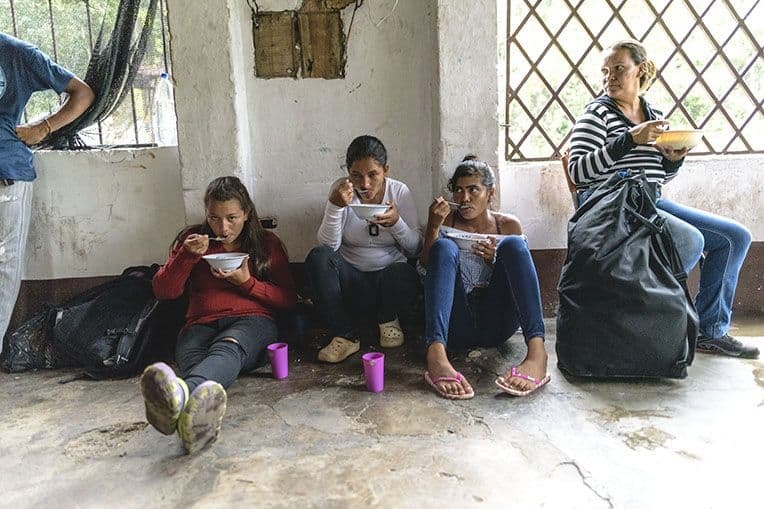 A group of women stop for soup at our shelter in La Don Juana. The family promoted a “Day of Mercy” in July on social media, and they got tremendous support from the community. Many people donated clothes and food for the migrants. They even set up a tarp to provide shelter at the local restaurant where the event was held. After about a month, the number of caminantes outstripped the capacity of that makeshift space, but God provided an alternative. A friend offered Pastor Jesus the opportunity to use an old train station as a shelter. The location provides ample space for meal service and sleeping quarters. His daughter, Viviana, went to work serving daily meals and hosting migrants alongside her father. 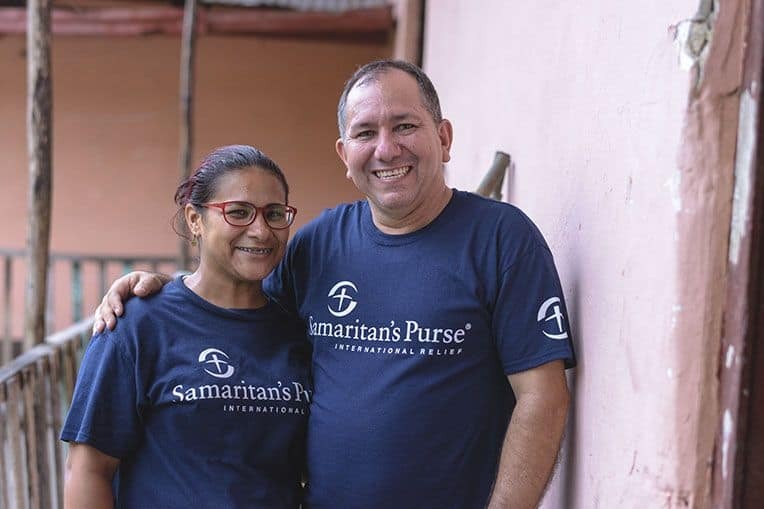 This fall, Samaritan’s Purse came alongside Viviana to begin improving the facility, underwriting the rent, and purchasing the groceries. Since that time, we’ve also installed new toilets and showers, repaired the roof, and upgraded the kitchen and electrical system. An electro-chlorinator now provides clean water for visitors. 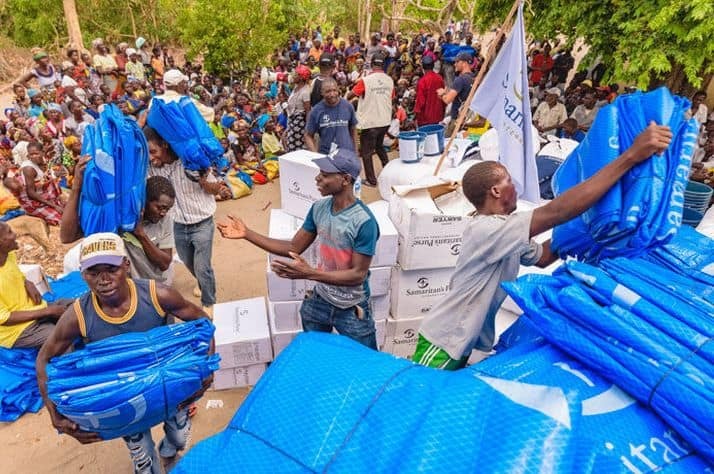 Relief for Refugees and Displaced People Around the world, millions of people are forced from their homes, communities, or countries due to conflict, persecution, natural disaster, disease, or poverty. 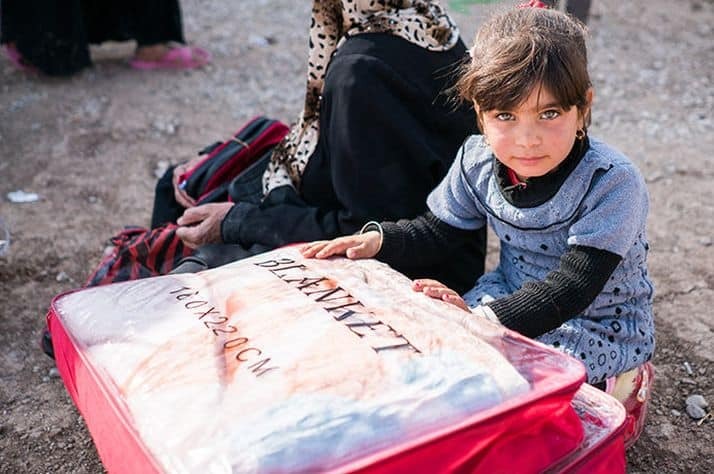 Your gift enables Samaritan’s Purse to respond to those affected by this increasing international crisis with assistance such as food, water, shelter, hygiene kits, cooking supplies, medical care, and more. We invite you to partner with us as we continue to respond to urgent needs in Jesus’ Name.